Dilapidated sheds set the scene for many Halloween movie classics, but they’re just as spooky on any other day of the year. 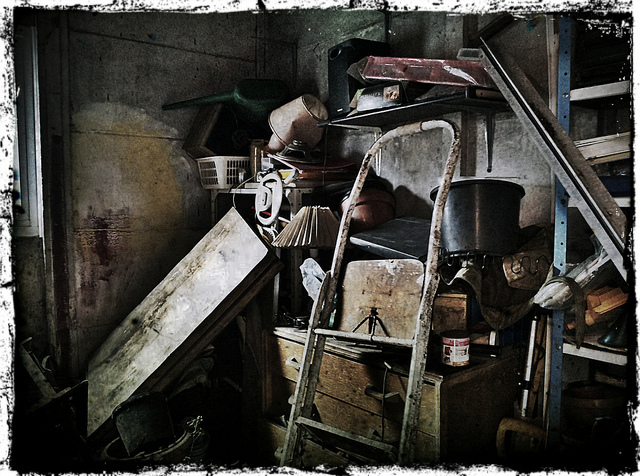 While rusty axes, overflowing toolboxes, and cobwebs in corners make a thrilling cinema setting, your tool-shed junk is dangerous in real life, too. Old junk gets tossed in boxes, kicked into corners, and dumped in piles on the floor, making tripping hazards, mold collectors, and worse out of your old furniture and appliances. Stop scaring yourself and your family with that creaking, junk-filled backyard shed. Call professional Marietta junk haulers to remove clutter and debris from your backyard. Some sheds are in decent shape, but if your boards are bowing, tin roof is rusting, or your shed suffers mold problems, it’s probably time to demolish your backyard catch-all. 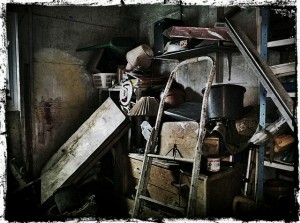 Sort through your serviceable items and store quality tools in your garage. We’ll take care of the rest. Mr Junk removes yard waste and renovation debris safely and efficiently, leaving no nail behind. Whether your shed is stuffed with old furniture and appliances, rotting carpet, or scrap metal, we’ll haul and recycle your junk at the lowest price in Atlanta. Call Mr Junk with your Marietta junk hauling project.